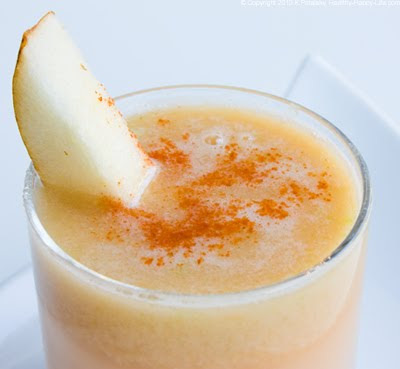 Diet Juices: Spicy Jicama. 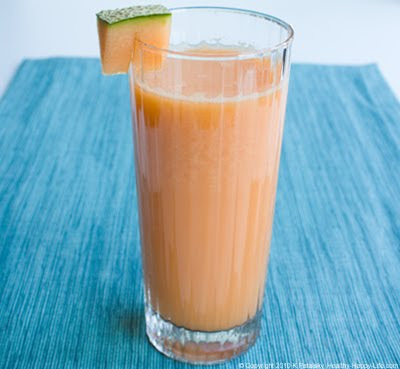 Cantaloupe Ginger. CucMint. To close out my Juicing for Health series, it's Diet Juices day. But FYI, "diets" don't work. Lifelong wellness does. More on that below. And quite honestly, I believe that any fresh pressed juice is a worthy component to any wellness-focused diet (weight-reduction or not). Diets Don't Work. 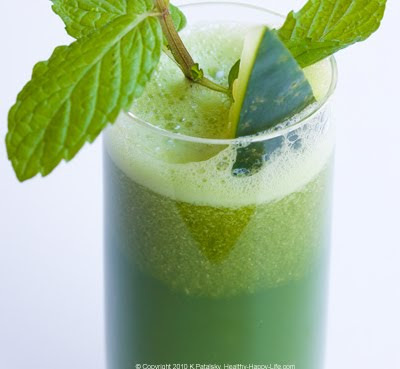 Juicing is a healthy practice to add to your lifelong wellness regimen. Juices are not simply part of a "restrictive diet plan". 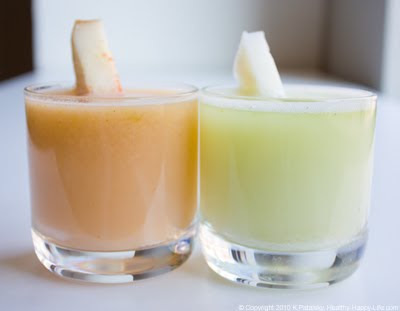 When I say these recipes are "diet juices" what I really mean is that they are lower in calorie juices. My personal belief: diets don't work. But working juicing into your everyday diet does. Juice vs. Fruit. Why juice? Why not just eat the fruits and veggies whole? You can! But one reason to juice is this: Digesting a lot of whole produce requires a lot of digestive energy - and when you are cutting back on calories you'll want to reserve all the energy you can. 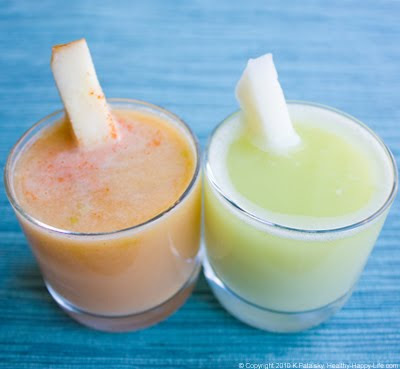 Juices offer a quick and easy boost of energy and nutrients with minimal stress on your digestive system. Fiber. I like to juice early in the day, then get all that good fiber my body needs from a big salad, grains and beans in the afternoon and evening. I also change it up a bit. 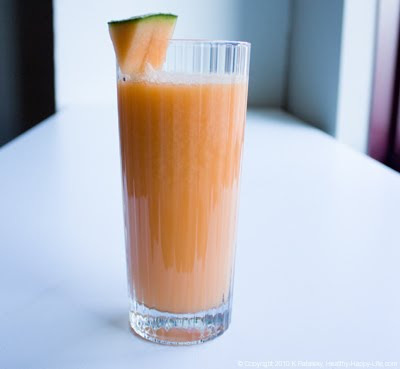 Juice at breakfast one day and then a whole sliced papaya the next day. Always listen to your body. Sometimes I'll drink a tall glass of nutrient/energy-dense juice - then a half hour later crunch on a handful of raw cashews for the fiber I crave. Juicing shouldn't be about shunning whole food. This isn't a fast. In my experience, fasts may shed pounds quickly, but you'll end up feeling crappy and gain back the weight in the long run. Diet Juices 101. 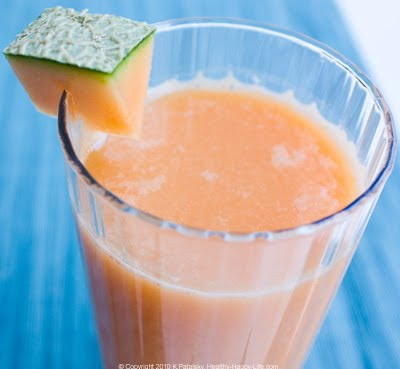 The ideal at-home juicing diet juices come from fruits and veggies that are high in water content and low in sugar. Think melons, crisp veggies, thick leafy greens and more. 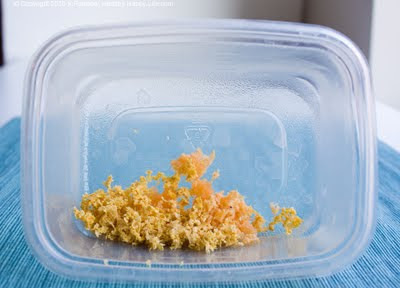 These are fruits and veggies that produce very little pulp because they contain so much liquid. More water, less calories. Thins out the sugar. 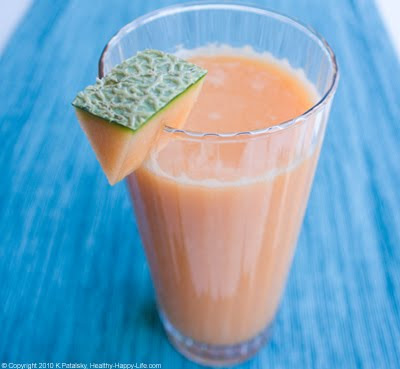 The result is being able to drink more juice for less calories. compared to 1 cucumber juiced = 45 calories. Plus, you will get more juice out of the cucumber. Drink more. Nutrients. Another key part of diet juices is the presence of healthy nutrients like vitamin A, vitamin C, potassium or manganese. The more nutrients per sip, the better. 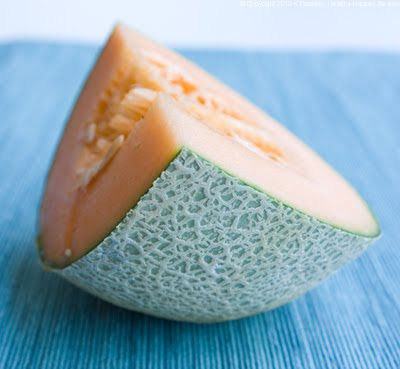 You can juice the cantaloupe with or without the seeds. I juiced it with the seeds and loved it. It is a tad sweeter without the seeds. Juice in the ginger as well. Juice the cucumber with skin. Juice the mint as well. Squeeze in 1/2 lemon juice. Stir. 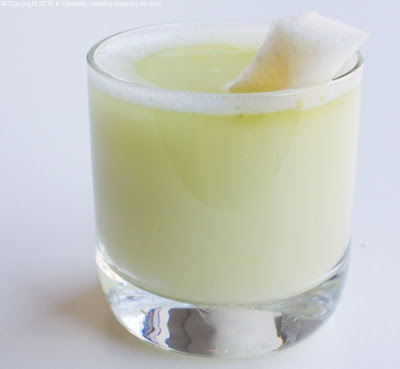 Serve as is, or over coconut water ice cubes or chill for later. 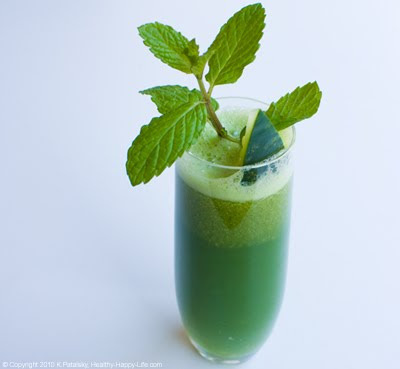 Garnish with fresh mint leaves and a stick of cucumber. optional: a pinch of sea salt stirred in. 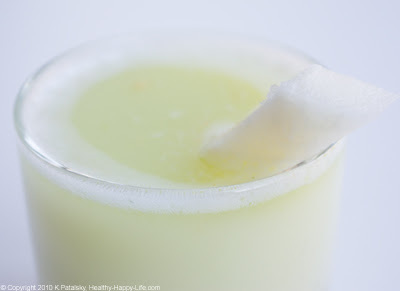 Peel the jicama, juice as much of it until you have about 3/4 cup of it. Juice in 1/2 pear, 2 medium carrots, and the ginger. 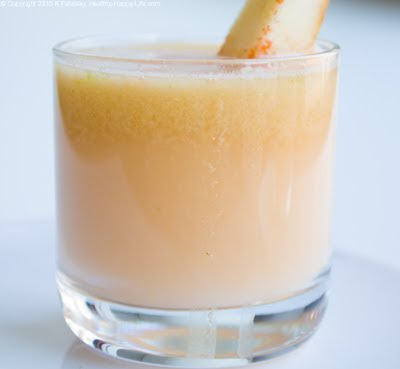 This juice has a very unique flavor - dry and rooty with a hint of sweetness from the pear and carrots. I added a nice sprinkling of cayenne on top to increase the spiciness. Last Words About Diet Juices. Like I said, I believe you can drink any fresh-pressed juice as part of a healthy diet. But my favorite low-cal juices are spicy, hydrating, nutrient dense flavors that stomp on any food cravings and leave you feeling nourished, hydrated and well. Experiment with juicing different flavor combos of fruits and veggies and you may find that what you think is "dieting" is actually part of a wellness-based lifestyle. And soon "dieting" becomes more fun than dreadful...and not dieting at all.